Welcome and a happy World Scrapbooking Day to you! 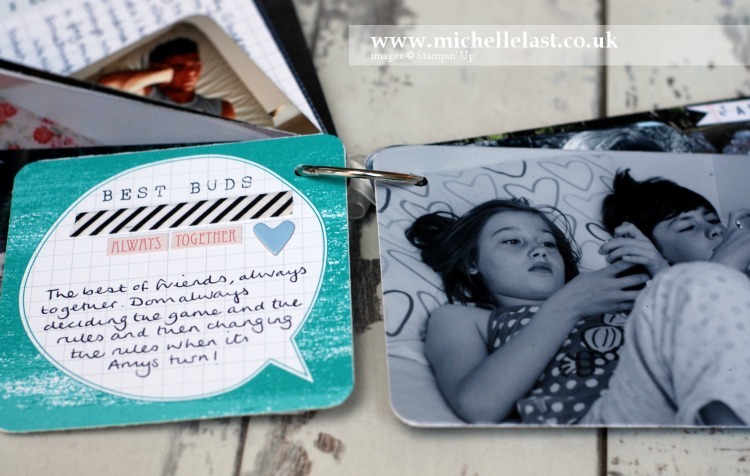 Today we have a wonderful blog hop to celebrate World Scrapbooking Day! You may be just starting here or have come from the amazing Sandra’s blog. 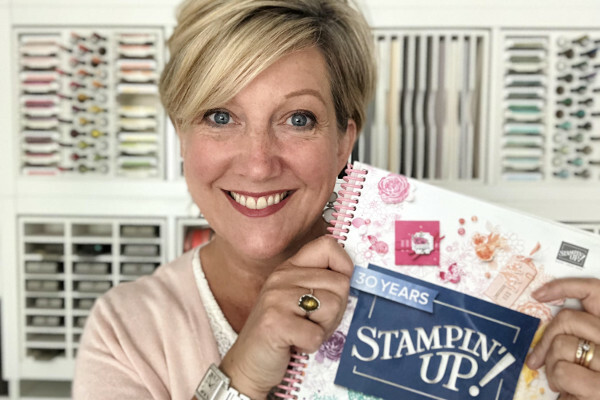 Either way you can make your way around by using the list at the bottom of this blog post so that you don’t miss a blog and a chance to be inspired by the scrap lay-outs, Project Life pages and/or scrap mini-albums our talented group of Stampin’ Up!® Demonstrators have created! 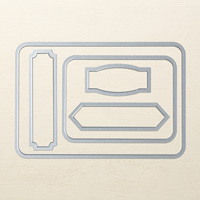 Over 8 years ago I become a Stampin Up Demo and my hobby turned into my job and now I craft for a living! 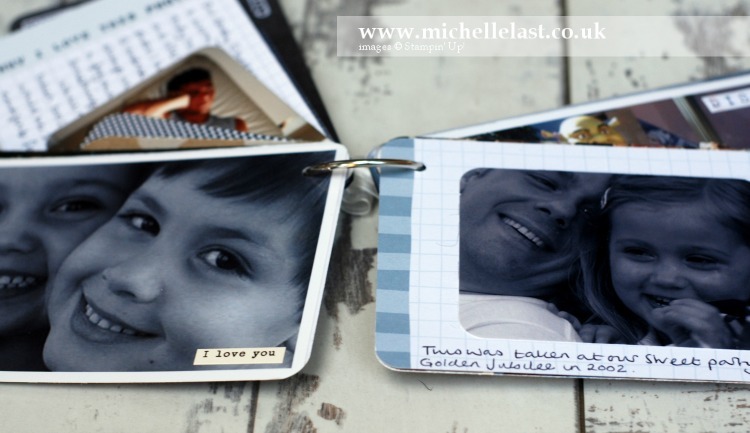 I love scrapbooking, it is part of me but life is so busy I rarely get the time to work on my layouts as they are a real labour of love but I adore Project Life as it is so much quicker and have embraced the new style of memory keeping. 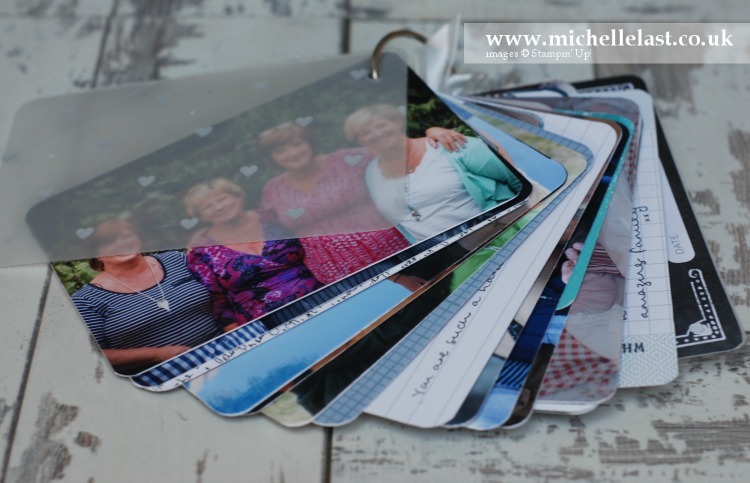 I have something a little different today though, I have created a coffee table mini album of my favourite photos. 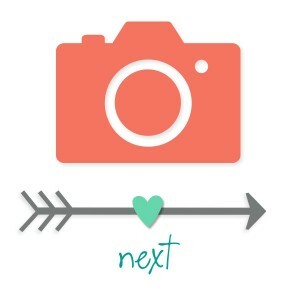 I have so many photos and thought it would be a great idea to make them a uniform size and stick them back to back to make it quick and easy to look through. 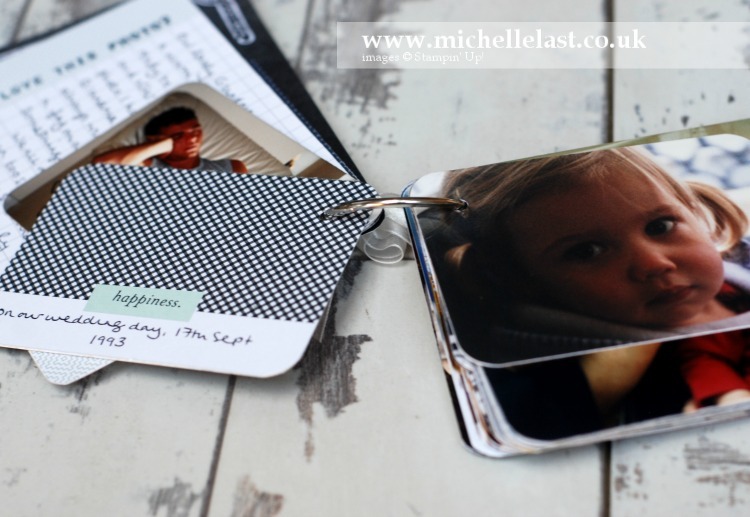 I used the Project Life Cards & Labels Framelit dies and cut each photo with either the 4×6″ die or the 3×4″ die. That way I knew they would all be the exact same size and fit on top of one another perfectly. I decorated the cover (which is made from a window sheet) with the Bloomin’ Heart Thinlit Dies. I cut approx 3-4 of the hearts in smoky slate cardstock and one heart in whisper white and mounted them on top of one another to create dimension. I then cut the coordinating flowers in vellum and secured them with a mini brad. Lastly using the alphabet rotary stamp (every scrapbookers must have accessory) I stamped the title in versa mark and heat embossed it in white onto smoky slate cardstock. 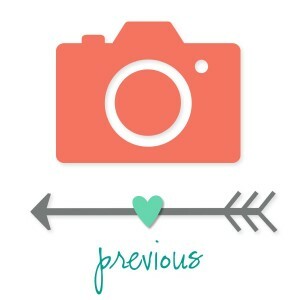 I used some of the project life cards to back the photos and add some journalling..
And random stickers and embellishments from my stash to add some journalling quotes. I added a piece of fancy foil designer vellum on the front and back and another piece of window sheet to create a protective covering. Finally I punched a hole and added a jump ring to secure all the pages together. I really enjoyed collating photos just because I loved them. It is my happy book and easy to flick through when I am just chilling out with friends and family. 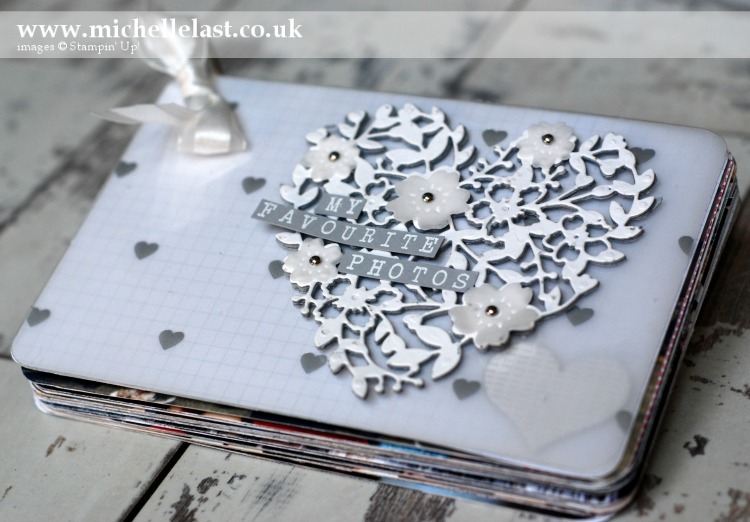 So now its time to go and see what the other lovely International Blog Hoppers have made in honour of World Scrapbooking Day! 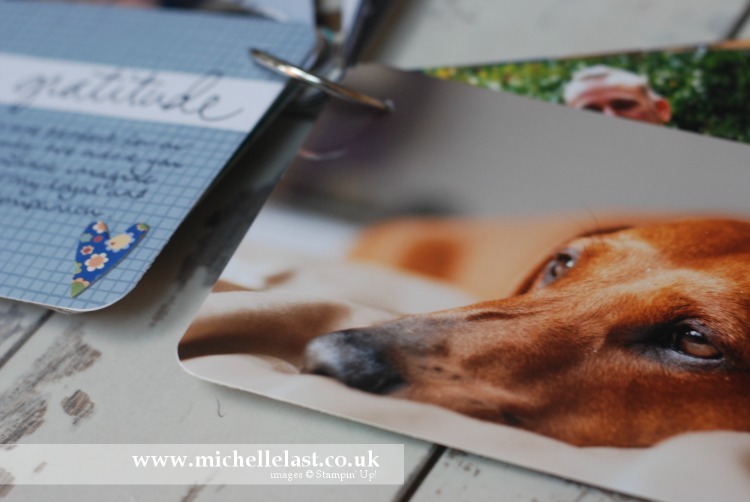 At the moment you are visiting Michelle Last in the UK and you are about to go around the world and be inspired by Monique in the Netherlands. If you wish to visit my shop and place an order for Stampin Up products, simply click any of the images below and it will take you right to the shop. If you have any questions or I can help please do not hesitate to get in touch. Wow Michelle, this is really nice!! Wow, what a wonderful album you made, Michelle. Very cute and pretty. swoon! mini albums make my heart happy! What a great idea, a very nice album. Absolutely fabulous idea. Love your project. Wow, love your happy book! so much details, it looks gorgeous! WoW! Thats a very nice idea! I have to keep that in mind. Oh, Michelle, this is stunning! I love this idea of a coffeetable mini album. And I agree. My scrapbookingdays are faded to the background also. That why I love Project Life so much!